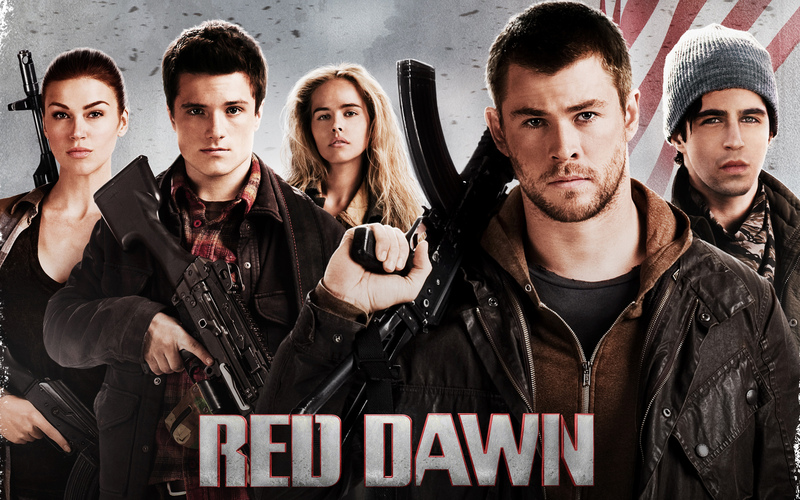 My husband and I recently rented the remake Red Dawn from Redbox to watch. I had actually not really heard any of my friends say anything about the movie, either positive or negative, which usually deters me from checking a movie out (assuming it’s not something I was anticipating to see and see it the first night it’s in theaters), but I was curious. I have also never seen the original, so this review is based solely on what I thought about this story and movie as it stands alone. 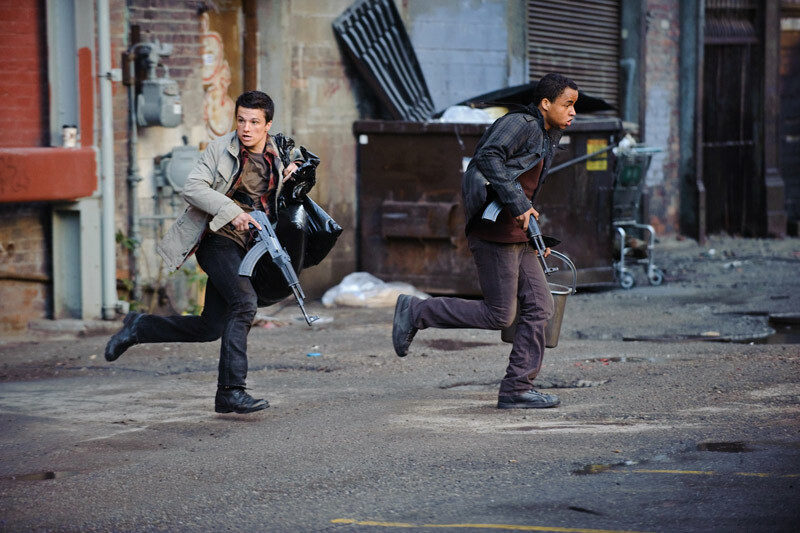 For those who are unfamiliar, Red Dawn focuses on a group of ordinary teenagers who live in Spokane, Washington, when North Korean troops come in and take over. The movie starts with media footage (some of it definitely real, but I am unsure as to whether or not all of it is) about North Korea. It hits home with what we see in the news everyday, but also in clips where you see President Obama, VP Biden, and former Secretary of State Clinton discussing the matter. From the start, the movie feels like it could be real. Unfortunately, once I saw the vast number of N. Korean paratroopers in the sky over one neighborhood, it started to feel less real. The whole takeover seemed a little too easy, but I allowed myself to believe it as I watched the film. Jed, one of the teenagers’ older brother is a Marine who takes charge of the group of frightened teenagers and trains them how to fight as warriors. He gives them a speech about how their job is to create chaos, and how to the people they will be fighting, they are just in some place, but their group is fighting at their home, for their home. Unfortunately, we don’t get to see much of the training, as it is pretty much reduced to a montage sequence. In the montage he also tells the group to find people in town they trust to get supplies from, and I wish we could have seen more about how they integrated into this new way of life, especially considering that just a minute before they were still hiding in the woods trying to stay out of sight. After this, however, I felt the movie was paced better. There are several times that the Wolverines, as the group calls themselves, find ways to collect gun sand even bombs to help them create chaos. Along the way, they make mistakes at times that show that they are not trained military and that they are emotional teenagers. However, you can also seen a clear transformation in their characters as they accept who they are now. I feel this is especially true of the characters Robert and Daryl, who seem very apprehensive about fighting at first, but Daryl especially shows that he is willing to make sacrifices and tough choices for the cause. By the end, we also see a big change in Jed’s younger brother Matt, who harbored a lot of resentment towards his brother for leaving their family years before after their mom died, as rises up as a leader when needed. I don’t want to give away too many details of the film, but I think it was pretty well done. I would have liked more development in the story itself, from how the North Koreans got such a foothold to more about the training of the Wolverines. The movie ends without a sure resolution, but you are left with a small sense of hope. I think it’s a movie people should see, despite a few flaws, and there are several poignant character moments. I would rate it 3 stars out of 5. 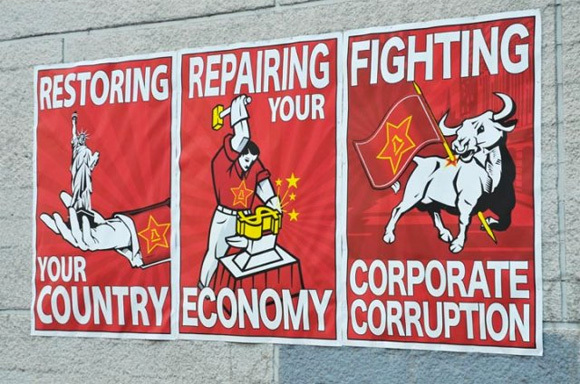 Has anyone else seen the remake of Red Dawn? What were your thoughts on it? If you’ve seen the original, how would you say it compares?